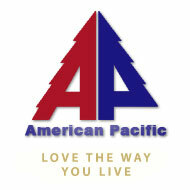 Wood Paneling from American Pacific opens up a world of design possiblities. 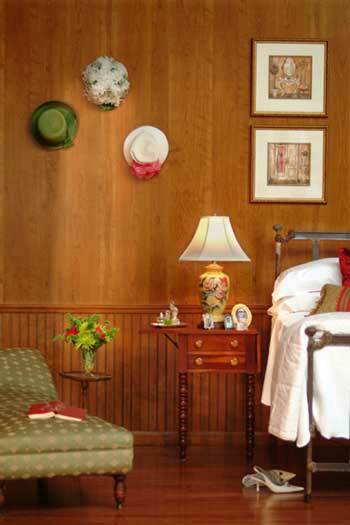 From our traditional Williamsburg Cherry paneling and rustic Western Red Cedar wood paneling, to realistic designer Leather and the subtle sand tones of Sandcastle, there is a paneling color, texture, and finish to accent any room decor. Click on any image or title to see and learn more! 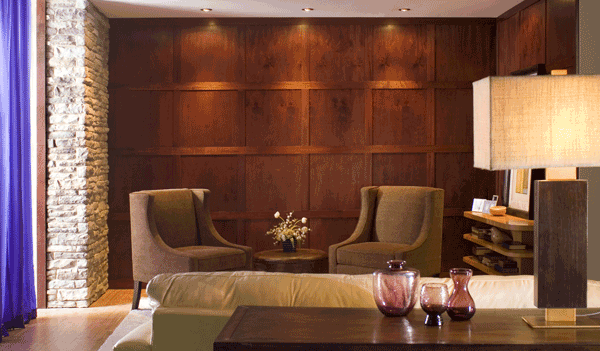 Our new solid wood wall paneling systems transorm ordinary walls into works of art! very effective on walls, islands, and accents. 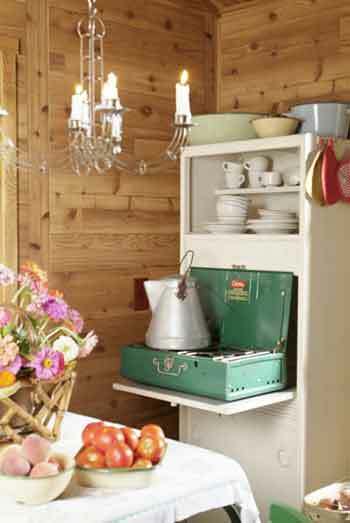 Also available in a traditional wainscot paneling height. 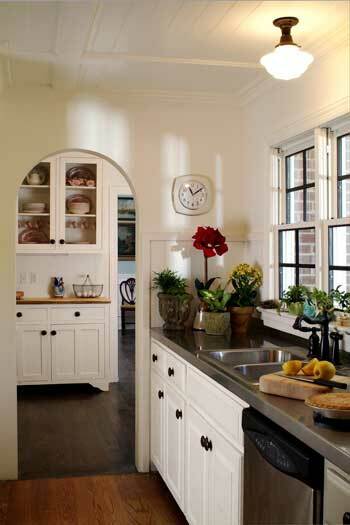 4" BEADBOARD - Still with a traditional feel, 4" bead offers a more subtle, open beadboard look, especially effective on multiple walls and longer runs. LIBRARY PANELING- A flat, non-grooved paneling with a sleek modern twist on a traditional wood grain like cherry, oak, or maple. 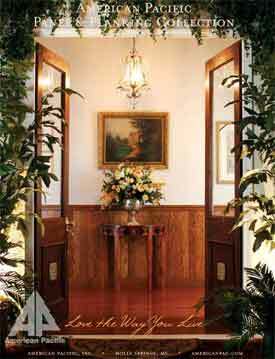 This is especially attractive paired with wainscot paneling. 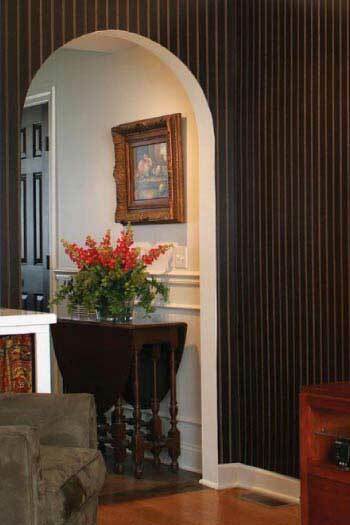 DESIGNER PANELING - paneling that span the design spectrum. 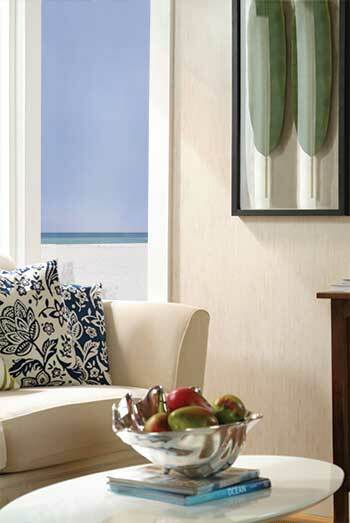 Subtle patterns like Garden Seasons and Ivory Elements. Realistic Leather, with the look and feel of tanned cowhide. The subtle beach tones of Sandcastle. The timeless crackling finish of Sahara. RUSTIC PANELING - The casual Americana feel of Western Red Cedar, Natural Ash, Swampland Cypress and Weathered Cedar paneling.